World-renowned pianist and composer Steve Barakatt has composed Château Frontenac’s official anthem to mark its 125th anniversary. The anthem has been premiered on April 13 2018 at a musical gala to celebrate the 125th anniversary of the Canadian landmark. The event has been held in the Château Frontenac’s Grand Ballroom and will feature the Orchestre Symphonique de Québec and a number of renowned artists. “It’s an honor to compose a musical work for an architectural landmark that is so loved and admired by national and international visitors alike. It’s a unique opportunity to pay homage to one of North America’s most iconic building,” said composer and pianist Steve Barakatt. In the past decade, Steve Barakatt has become a leading composer of official anthems for prestigious organizations such as UNICEF, the Lotte Group, the city of Saemangeum in South Korea, the 66 royal golf clubs, and the Royal Canadian Air Force. “The Fairmont Château Frontenac will now be able to speak to the world through the universal language of music. We’re proud to have Steve Barakatt create this musical legacy for the 125th anniversary of our hotel,” said Robert Mercure, general manager of the Fairmont Le Château Frontenac. 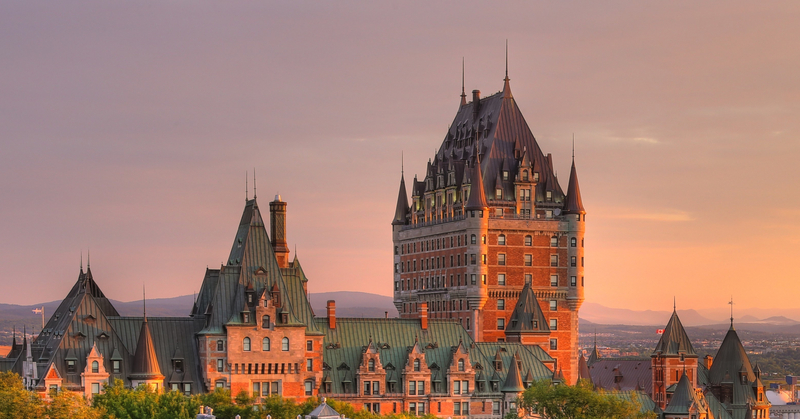 A National Historic Site of Canada in the UNESCO World Heritage Site of Old Quebec, the Château Frontenac will become the first heritage building in the world to have an official anthem. People around the world will be able to access it on a variety of digital platforms.